School Locker Room Products: Metal Lockers, Benches, Locks & More! and benches for locker rooms at a fair price. A.T. Equipment Sales sells, installs and repairs lockers for school locker rooms all over New York. It’s no secret that lockers are a large investment for any school or district. We also sell hand dryers and waste receptacles to soap dispensers and benches, we have everything you need for your school locker room. We can custom color your lockers so you can show your team spirit and also have select lockers on quickship for those that need athletic lockers in a hurry. Let us help you pick the perfect locker today! All your locker room needs in one place. School locker rooms take a beating. From different sports teams and PE classes to visiting teams and other functions that require the use of a school’s locker room. We sell everything a school would need to set up a locker room – from athletic and vented lockers to benches and locks- we have you covered. Our locker manufacturers are known in the industry for making durable athletic lockers. 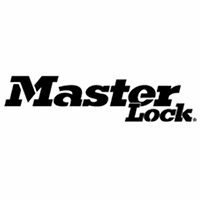 We know first hand, purchasing quality lockers will last for many years. We’ve outfitted home and visiting teams with gym lockers that were branded with team colors; installed custom lockers and created private areas for school storage. For locker rooms that have connected restrooms, we can handle the entire setup. For many years we have successfully helped New York schools with all of their furniture and equipment. And we can help you too if you’re not a customer yet. Our office is in Scarsdale, New York, please contact us at (914) 472-7222. If you’d like us to visit your school and it’s in Sullivan County, Rockland County, Nassau County, Suffolk County, Westchester County, Ulster County, Dutchess County, Putnam County or Orange County give us a call and let us set up your locker room for success. Let us help you outfit your school locker room today, we look forward to hearing from you! Benches add welcome convenience and comfort to every locker room. ADA-compliant benches. Other ADA sizes are also available upon request. 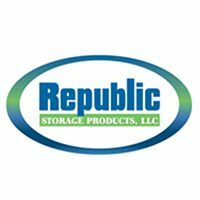 Republic’s Heavy Duty Corridor Lockers and Athletic Lockers are the best choice for tougher environments.